^ 1.0 1.1 KDE 4.0 Release Announcement. 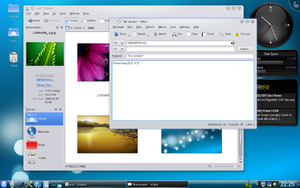 ^ Replace Windows Shell with KDE Plasma Desktop. ^ KDE 4.14.0 Release Announcement. 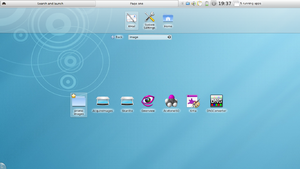 ^ KDE 4.1 - release team aims at July 2008. ^ Google Summer of Code 2007 – Application Information 互联网档案馆的存檔，存档日期2009-02-13. ^ KDE 4.2 Released; Short Interview: Aaron Seigo. （原始内容存档于2009-02-01）. ^ KDE 4.2 Beta 1 announcement. ^ 12.0 12.1 Bruce Byfield. The KDE 4.3 beta: KDE Returns to Incremental Releases. （原始内容存档于2009-05-23）. ^ Steven J. Vaughan-Nichols. A first look at KDE 4.3. （原始内容存档于2011-02-21）. ^ KDE 4 Network Management Applet 互联网档案馆的存檔，存档日期2010-06-13. ^ KDE 4.5.0 Release Announcement. ^ KDE Development Platform 4.5.0 Release Announcement. ^ KDE Plasma Workspaces 4.5.0 Release Announcement. ^ KDE Applications 4.5.0 Release Announcement. ^ KDE 4.0 Release Schedule. ^ KDE 4.1 Release Schedule. ^ KDE 4.2 Release Schedule. ^ KDE 4.3 Release Schedule. ^ KDE 4.4 Release Schedule. ^ KDE 4.5 Release Schedule. ^ KDE 4.6 Release Schedule.